Having a plastic injection moulding division next to a zinc die-casting foundry is unique and we pride ourselves on a very modern and well planned department. Here we have 18 moulding machines of 22 tonnes to 400 tonnes lock fitted with robotic transfer systems allowing small and large and complex mouldings to be produced efficiently. Many types of mould are in production, single cavity to multi-cavity and including those requiring automatic unscrewing and core pulling. Lesney can also undertake all types of insert moulding. A wide variety of components are being moulded regularly, not only the simpler items but technical and precision products for the Automotive, Electronics, Telecommunication and Engineering industries as well the Whitegoods sector. Apart from the commodity plastic materials: PP, HDPE, GPS, PET, ABS AND LLDPE we consistently manufacture from the engineering grades of PA, PBT, TPR, PPO, POM either unfilled or with addition of fire retardants, anti-statics, talc and glass. Virtually all engineering thermoplastic materials are catered for and our engineers will be able to assist and advise on your material selection. 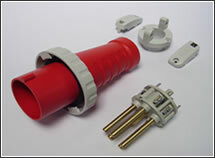 The injection moulding shop is fully supported with printing and sonic welding capabilities. We have long term experience and exceptional expertise in assembly and sub assembly operations. Should you visit us you will see many such different operations taking place including plastic and zinc combinations. 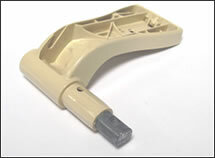 Over 20 million high quality plastic injection mouldings are produced each year but Lesney Industries are highly regarded for flexibility and we can willingly accommodate both small batch and large volume quantities. Both types of requirement are often moulding side by side and you will find that each is given equal care and attention to quality and service.